Wondering how to prevent mosquito bites outdoors or at home? This article will show you various ways to prevent those nasty, itchy bites wherever you are. Despite our best efforts to keep mosquitoes away or get rid of them, there will be times where we're subject to their attacks. This is especially so when traveling to subtropical areas where mosquitoes lurk in every corner or when hiking or camping in forested areas. While it's not very practical to carry a mosquito zapper everywhere (although I have seen people packing electric mosquito swatters with them on holidays), there are things you can do to prevent getting bitten. If the weather permits, wear long-sleeved shirts and long jeans. If the mosquito has less skin to land on, it has fewer chances to give you a bite. This might sound commonsensical but you may be surprised that people don't do it even when they can. Wearing covered clothing to prevent mosquito bites might not be feasible when you are out in the hot sun (you'll melt even more in these clothes!) but if you were going out at night in a mosquito-infested place, covered clothing is the way to go. One of the easiest things you can do is to wear light-colored clothing when you are going to mosquito-zone. Mozzies are attracted to dark colors more than light and just by changing what you wear, you'll be able to lower the chances of getting bitten. While wearing covered and light-colored clothing makes it less likely that you would get bitten by a mosquito, it doesn't actually repel the mozzie. To make the mosquito go away, use an insect repellent spray on your clothes. If you are going camping, this can also be used on the tent. Don't try to spray it on your skin though because this product breaks down in minutes when it comes into contact with skin, making it ineffective. 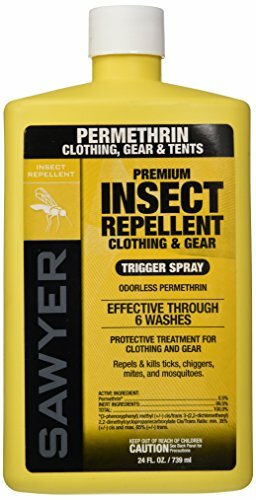 Just spray the thing on the outside of your clothes to keep yourself from getting bitten. Mosquitoes are attracted to a variety of odors such as stinky feet and floral scents. While it might be difficult to get rid of stinky feet, you can stop yourself from smelling like a spring flower by not wearing perfume or using heavily-scented soap, shampoo or makeup that smell like flowers or fruit. Not many people know this, but mosquitoes feed on the nectar of flowers too, and not smelling like one will lower chances that mosquitoes go for you, thus preventing mosquito bites. For the uncovered areas of your body, mosquito repelling lotions are a good way to prevent mosquito bites. 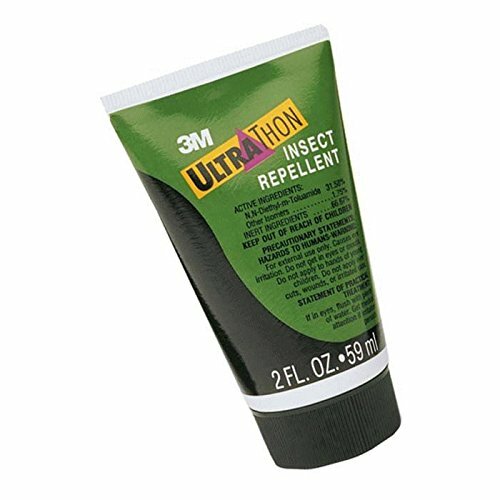 Mosquito repellents that contain DEET confuse the bloodsucking pests and protect you from getting bitten. As a bonus, it works on other pesky insects such as ticks, gnats, and fleas too. The DEET works by confusing insects so that even when they smell you, they would not be able to figure out that you're food. Effective as they are, clothes spray and lotion repellents don't last forever on your clothes or skin and it is necessary to reapply them after a while. Your bottle of spray or lotion should come with labels that show how long they are effective for so be sure to reapply after the effective timeframe. Also, I would suggest reapplying more frequently than the label says because other factors may reduce the amount of time the products are effective for. For example, if you get caught in the rain or if you sweat a lot, it might be a good idea to reapply the mosquito-repelling products sooner to prevent getting bitten. Garlic is not just a fictional repellent of supernatural bloodsuckers, it actually repels bloodsucking mozzies too. Garlic works either by applying it externally or eating a lot of it. When garlic is eaten, odors are released in the skin and your breath that repel mosquitoes (and people in certain cases). While it might not be as effective as a DEET insect repellent, if garlic is something you already love, this would be a good excuse to eat even more of it for mosquito-bite prevention. However, garlic alone is not enough to prevent mosquito bites so use it (if you like garlic) in conjunction with other methods. If possible, stay indoors and away from the mosquitoes during their feeding hours. Mosquitoes are most active during the twilight hours of dawn and dusk and you don't want to be out there when the mozzies are partying. It might seem troublesome to bring along a mosquito net if you're going outdoors or on a holiday, but you will be surprised at how many of the buggers a net can keep away from you. 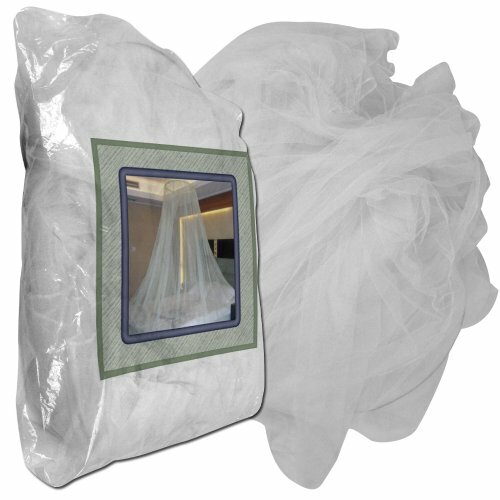 Mosquito nets can be easily hung over a bed or draped over a tent to prevent mosquito bites while you sleep. And if you are in a mosquito-infested area, you'll see for yourself how effective it is by the number of mozzies sitting on the outside of the net in the morning. If your mosquito problem isn't too big, you might be able to get away with using just one of the methods described above. But the best way to protect yourself from getting bitten by a mozzie isn't any one way but a combination of all of these. If you are in an area that is heavily-infested with mosquitoes, you'll definitely want to do that given that a single mosquito bite could carry disease that will cause you even more trouble and pain.